As cities evolve, technology advances are allowing residents to stay connected with their local neighborhoods, as well as communities across the globe. These advances are especially impactful to residents in urban areas, as this is where close to half of the global population resides. It is projected that 70 percent of the global population will be living in urban environments by 2050, according to Navigant. To support this growth, enterprises are now participating in various programs to transform urban environments into smart cities. Speaking of these implementations, the role of energy service companies (ESCOs) is vital. LEDinside interviewed Lisa Brown, Senior National Director of Municipal Infrastructure and Smart Cities for Johnson Controls, on the progress of smart cities transformation. 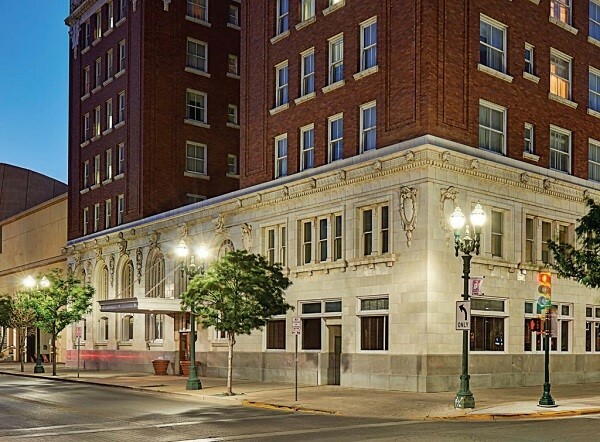 Known for tailoring smart building solutions, with the merger of security company Tyco in 2016, Johnson Controls has strong confidence in expanding their service spectrum even deeper into a city level. Smart city is a term that has been evolving over the past several years. Brown explained, “A smart city is a municipality with improved infrastructure that delivers enhanced connectivity, resiliency, public safety, security, and enhanced savings. Together these improvements all should contribute to greater economic development for the city.” These are some of the ultimate goals Johnson Controls, lighting and electronics companies, and governments seek to help a city achieve after a smart cities’ initiative is implemented. However, with different business models and technologies employed, it’s hard to identify one definition of a smart city as it can be interpreted in a myriad of ways. Energy performance contracting (EPC) is currently one of the most adopted business models. This performance-based model is carried out in the way that ESCOs will guarantee a target/minimum energy savings goal that will guarantee the cost savings generated from the measures. Using data points such as the pre-project energy consumption as one of the references, ESCOs will compare data points such as energy savings to assist with the financial calculations that are associated with a project. ESCOs and those companies are compensated when those mutually agreed upon savings are achieved. The majority of large-scale projects tend to use the EPC model, which is particularly well accepted in the public sector. ESCOs generally set a baseline for their energy savings level and contract with their customers, depending on local procurement, legislative guidelines and overall scope of the project. Johnson Controls has been leading a myriad of energy efficiency programs both within and outside of the United States, recruiting numerous lighting and electronic technology companies and harnessing their products and services to bring both economic and environmental benefits to buildings and cities that have been made smart and energy efficient. Brown contended, considering aforementioned rapid urbanization, smart city planning would eventually be implemented on a global scale. More and more smart city projects are put into practice in regions such as India, Singapore, Dubai, Europe, China and North America. Among those places, it is Europe and Asia, rather than the U.S., that are currently leading many of the city transformation trends, said Brown. Europe, especially Western and North Europe, has developed a highly competitive energy efficiency market based on government policies to save a certain level of energy by 2020, requiring a solid knowledge base in regards to street lighting, HVAC systems, security systems, and other energy saving services. On the other hand, countries in Asia, such as China and India, are facing and trying to tackle problems of booming population, severe pollution and inefficient energy usage. The Government of India launched in 2015 Smart Cities Mission and a total program investment of USD 15 billion, aiming to renew 100 cities’ looks and infrastructures. Some cities like Chandigarh have begun their makeovers by replacing conventional lighting with smart LED street lighting. Likewise, in China, the 13th Five-Year Plan 2016-2020 also targets to reduce carbon emission by 18 percent, according to recent Navigant research. Tier 1 cities along the coast have completed installation of over 20,000 efficient LED street lights. “So, while the U.S. is moving forward rapidly, we are looking to other regions for lessons learned and still catching up with many smart city trends,” stated Brown. 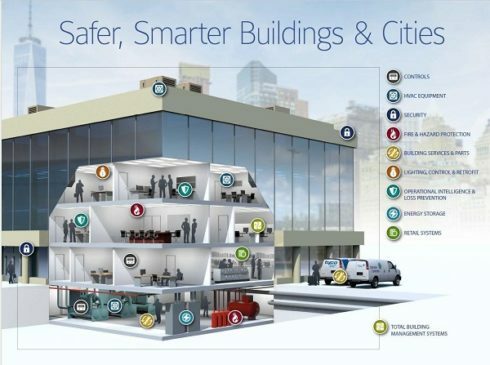 Despite that, as a constant partner of municipalities, Johnson Controls is actively promoting the concept of smart cities and assisting the public sector with their urban renewal projects. 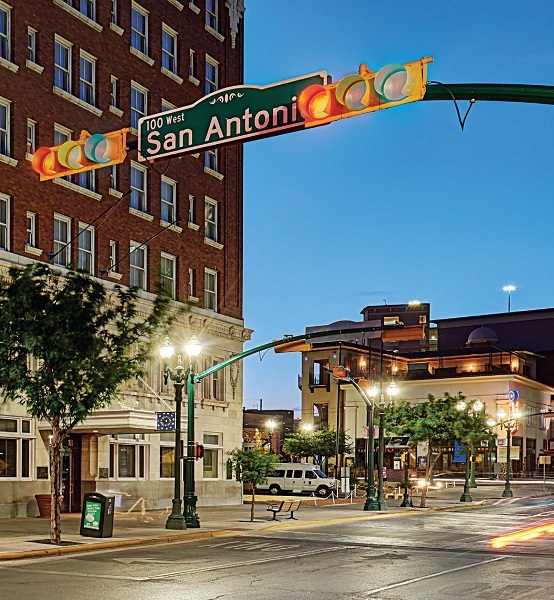 Johnson Controls has completed intelligent street lighting system installation in cities such as Binghamton, NY, and El Paso, Texas. Brown also revealed that Johnson Controls is currently working with many municipalities across the country. The company expects the market of intelligent street lighting will grow by 20-30 percent at a noticeable CAGR by 2020. In the next two decades, it will be a major focus, Brown concluded.